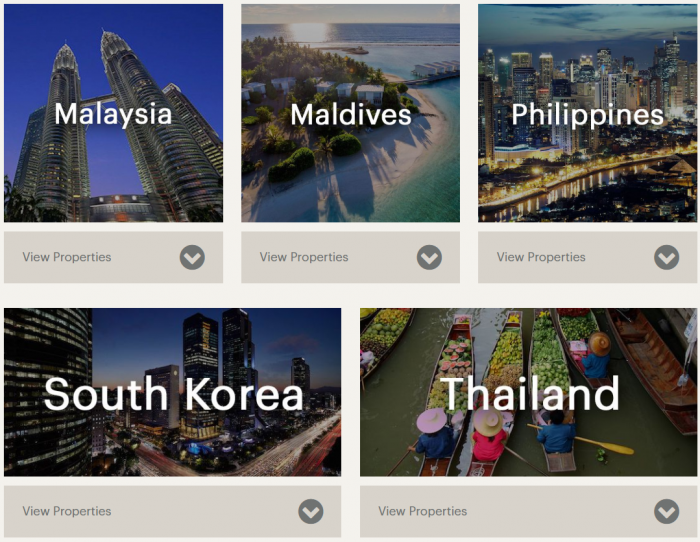 IHG Rewards Club has launched new sale for stays in Southeast Asia (Indonesia, Laos, Malaysia, Philippines, Thailand and Vietnam) and Maldives, Japan and Korea. The offer is for 20% to 30% off rates for IHG Rewards Club member stays between November 26 – March 31, 2019 if booked by November 11 orr 22 (different booking deadlines). If the rates are 30% off (should be minimum 20% under this offer), then they are quite good considering that this tends to be very busy time of the year for the hotels and resorts in Southeast Asia. Rates are per room, per night and are subject to availability. Participating IHG® Hotels and Resorts properties in Southeast Asia, Japan and Korea will provide a discount of between 10% – 20% on stays between 26 November 2018 and 31 March 2019. IHG® Rewards Club members will receive an additional discount of 10%. Advance booking is required. The promotional booking period for participating IHG® Hotels and Resorts resort properties in Indonesia, Malaysia, Maldives, Thailand and Vietnam is 18 October – 11 November 2018; the booking period for participating IHG® Hotels and Resorts city properties in Indonesia, Laos, Malaysia, Philippines, Singapore, South Korea, Thailand, Vietnam and all properties in Japan is 1 – 22 November 2018 – click here for details. All reservations are final and require full, non-refundable payment for the entire stay at time of booking (IHG® Rewards Club Points cannot be used). Tax and service charges apply. Final bill will be presented in local currency. Credit card surcharges apply. Blackout dates apply. Offer is not valid to groups of 10 or more rooms and cannot be combined with any other special offer, including but not limited to InterContinental Ambassador’s complimentary weekend night certificate. At Holiday Inn, Kids 12 years and under stay for free sharing parent’s guest room in existing bedding and eat free from the all-day dining restaurant with an accompanying paying adult guest. Promotional stays qualify for IHG® Rewards Club Points. Standard IHG® Rewards Club programme terms and conditions apply. Visit ihgrewardsclub.com for details. Other terms and conditions apply.